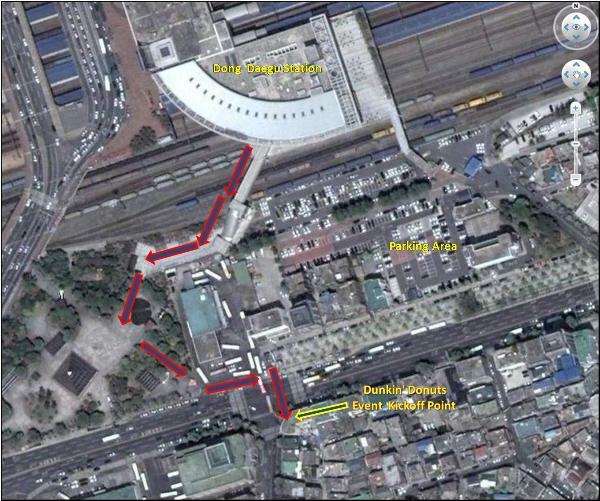 WHAT: You are invited to Daegu for a gathering of geocachers. WHEN: 16 November 2008, Sunday, 10:00 AM till ??? at N35° 52.625 - E128° 37.755 from 10:00 AM till 11:11 AM, then depart to Apsan mountain. 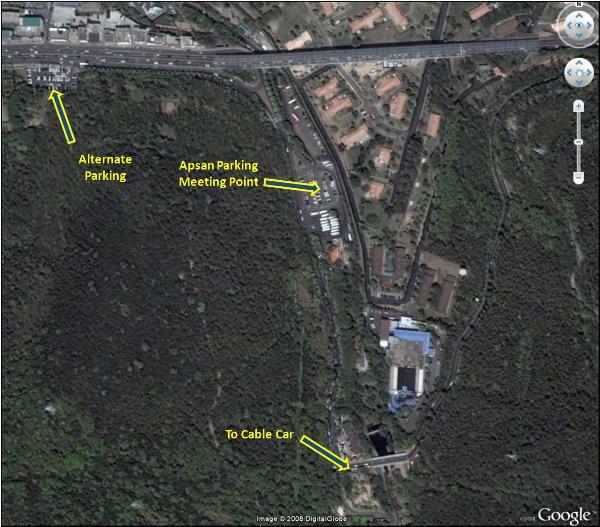 Apsan Mountain's meeting spot is at N35° 49.900 - E128° 35.333.
stories, and have fun! And we'll conquer Apsan, with cable cart or no cable cart. Please R.S.V.P. by 14 November. To be sure you stay updated with any changes place this event on your watch list . Over one hundred geocoins will be available for discovery. Click here for Daegu City's website. time has not yet to be determined. *Feel free to join us. per Event Cache Listing Requirements / Guidelines. 이번에는 대구에서 하는 이벤트입니다. 아마 지방 이벤트인지라, 부산분들도 뵐수 있지 않을까 기대해봅니다. 이번주 16일 장소는 조금 바뀌어서 대구 컨벤션 센터 앞으로 이전되었습니다. GPS 가지지 않은 분들도 참여 가능한 플래쉬몹 이벤트입니다. 전세계동시간대에 이루어지는 이벤트로 (먼가 거창하다 -_-;) 이벤트 후기는 야후 플리커에서 확인 가능합니다. 지오캐싱이 처음으로 내 블로그 검색어 1위에! !